It’s here! 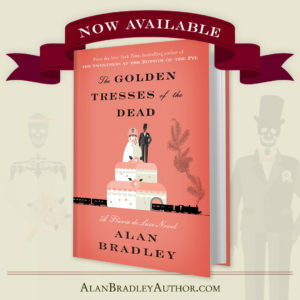 “The Golden Tresses of the Dead”. Who on earth would place a dead finger in a wedding cake? And why? 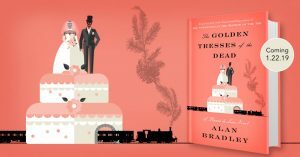 And who but Flavia de Luce can crack the case? A new Flavia is here – almost! 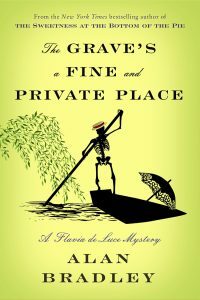 I’m delighted to announce that “The Grave’s a Fine and Private Place” will be published on January 30th in the US and Canada.